An emotionally riveting tale of the bonds of family and the power of hope in the sultry Deep South In 1969, the first footsteps on the moon brighten America with possibilities. But along the Mississippi Gulf Coast, a category five storm is brewing, and the Blake sisters of Biloxi are restless for change. Beth "Sis" Blake has always been the caretaker, the dutiful one, with the weight of her family's happiness--and their secrets--on her shoulders. She dreams of taking off to pursue her own destiny, but not before doing whatever it takes to rescue her sister. Emily Blake, an unwed mother trying to live down her past, wants the security of marriage for the sake of her five-year-old son, Andy. But secure is the last thing she feels with her new husband. Now she must put aside pride, and trust family to help her find the courage to escape. With Hurricane Camille stirring up havoc, two sisters--each desperate to break free--begin a remarkable journey where they'll discover that in the wake of destruction lies new life, unshakable strength and the chance to begin again. 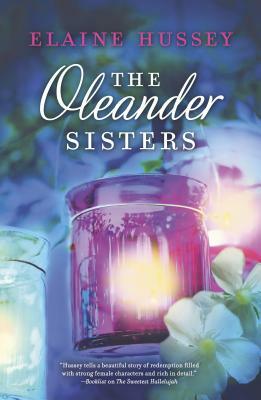 Dreams are reborn and the unforgettable force of friendship is revealed in The Oleander Sisters, an extraordinary story of courage, love and sacrifice.